Google Tilt Brush will allow you to literally step inside your art and what better place to show that off than Sketchfab? Fortunately going from the virtual environment of the HTC Vive to your web browser has never been easier. Sketchfab Staff member Seori Sachs explains the process in this quick tutorial. It always helps to have as many tools in your belt when developing virtual art and here’s another one — Tilt Brush! Although Sketchfab users are probably aware of Google Tilt Brush, it’s still a baby in the realm of virtual art tools. As the HTC Vive takes off, perhaps more people will create art and hopefully share their creations. At this point you may ask, is it possible to see our awesome Tilt Brush creations in Sketchfab and the answer is yes! At this point, it has never been easier. Here’s a quick tutorial on how to get your own uploadable .fbx files to show off. Two Vive hand controllers are used to create your art and are programmatically assigned by Tilt Brush to have two major functions. One hand acts as an artist’s palette where you can select colors, brush styles, animations, drawing tools, and mood-setting environment. The other hand does the actual drawing and selecting of options. Since the set up is so intuitive and artists get the full gambit of interactive space. With a low learning curve set in place, prior limitations no longer exist as you can expand your artistic vision in any dimension. After creating your Tilt Brush piece, twist the “tool” controller until you see the gear icon, which is the “settings” mode for Tilt. Point to it with your “drawing” controller and pull the trigger button, located under the top of the controller. This will prompt the Setting menu to come up. In the upper right hand corner, there should be an icon shaped like a laboratory flask. Point and click on it with the “drawing” controller. This will prompt a small separate “Labs” menu that almost looks as though there is a stand coming from underneath the surface of Lab options. Don’t be alarmed if you can’t find it at first — it has a penchant for sometimes rendering off to the side a bit or behind one part of your painting. If you don’t immediately see it, look around a little bit for it since it shouldn’t be too far off. At the bottom, there should be an icon that somewhat resembles a screen with an arrow coming out of it. This is the “Export” icon. Click on that. This will prompt an “Exported!” message, which will have haptic feedback confirming it, unless you’ve turned that off. The export file will usually be found on your computer, under the file directory C:\Users\[Name]\Documents\Tilt Brush\Exports, unless otherwise customized by you. In that folder, there should be a JSON and .fbx file, titled whatever you named your Tilterpiece. 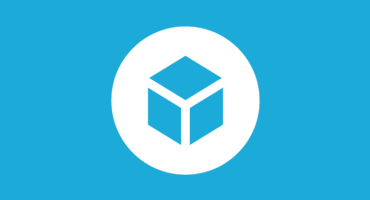 Upload the .fbx to Sketchfab as it is or play around with it more in post. That’s it! As easy as the exporting process is, we are constantly streamlining it and would love to hear from you on what you’d like to see. As you can see, Tilt Brush makes for an otherworldly art-creation environment and provides opportunities to share what you’ve created with the world. Please let me know if this tutorial was helpful, any improvements I can make, and share your Tilt Brush results below and tag them as ’tiltbrush’ so they show up in the tiltbrush tag! Any artists in NYC or Paris are also welcome to drop us a line at hello@sketchfab.com and try their hand at our HTC Vive and post their creations too. Header image credits to Rein Bijlsma. Is there any way to maintain all of the special / animated textures? When I export something that relies on them it ends up looking kind of bad. Thanks for the comment! At the moment, effects are not exportable. That being said, it’s something that we are looking to work on. In the meantime, people have created their own effects via our filters in post or implemented other software in conjunction with their Tiltbrush creation. Looking forward to any updates on tiltbrush effect support! My export currently gives me a .Json file and .tds (touchdesigner) file – is there a preference setting somewhere that will allow me to export a .obj or .fbx? I’m having the same problem. How? could you do me a favor and check if your Tilt Brush is updated to the latest version on steam and then do another export with a new painting? Do you have installed any export python scripts before the implementation of Tilt Brush´s Export feature? Would love to see a screenshot of how the export looks on your system. The screenshot you’ve sent accurately depicts what I’m seeing too, which is perfect. I am wondering if there is a way to export .obj from within TiltBrush so that I can edit it in Photoshop? Does anyone know how to get a 360 Photo from a tiltbrush design? to potentially get a single frame. Worth trying that first before entering a multiple of 30.
would possibly produce a 1 frame mp4 (but it may require a higher number; I’ve not experimented with this due to lack of PC power). Good luck! If you need further help the Tiltbrush artists group on FB has people that have successfully posted 360 captures. Great information. Thank you. Tiltbrush is a brilliant tool for artistic creation and grey boxing VR experiences (amongst many other beneficial factors). The ability to export models is the perfect feature, creating a seamless workflow for game asset creation. Thanks to the Tiltbrush team for providing this tool. Exporting and importing does work pretty well. However, Tiltbrush does not export any imported models (obj-files). I can’t find a solution on the web or @steam. Does anyone here happen to have an answer. And additionally, TiltBrush also does not export any imported images. Thanks for your info. Too bad that TiltBrush isn’t that advanced yet – it would save a lot of time, or it will prevent me from using TB. I will follow the development closely. Give Gravity Sketch a shot, it might suit your needs better. A lot of people have developed pipelines where they’ll model assets in tiltbrush, package them in Maya, and then bring them back into tilt brush so they can build large environments in less time. Gravity Sketch has alot more emphasis on import/export features. Completely agree. I’m desperately in need of exporting models and images from Tiltbrush into an FBX. That is a massive inconvenience. Why would they do that!? I guess that the models/images import system was added later on, and still isn’t fully integrated in the TB ‘model’. Hope to see Google fixing this in the next update, as it will open new doors! Hi, So I’ve exported a sketch from Tilt brush, and got a .fbx, .json and .png file. But…and this is touched on below, the .fbx has none of the textures/materials attached to it when exported so its just a solid white object. as the is the whole point of the export is so as not to have to create new materials etc in Blender. is there any way around this? I see 3 options for vertex color when I import into Unreal. Replace, ignore, override. However, even if I choose replace, it’s still overriding all the vertex color and show the import in override color(default is white). I wonder how this can be fixed. Saludos, al exportar y grabar un video en tilt brush la calidad del video y de los objetos modelados no es muy buena, ¿habra alguna manera de tener videos de lo que dibuje dentro de tilt brush con buena calidad? We don’t have a direct connection inside Tilt Brush yet. With our new Download API it should be possible though.